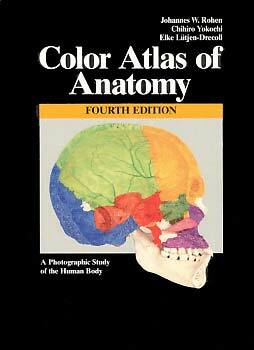 Color Atlas of Anatomy-by Rohen/Yokochi, 4th edition. The most comprehensive photographic "Color Atlas of Anatomy". 469 pages of full-body color dissections with emphasis on the head and neck. An inexpensive yet beautifully detailed Anatomy Atlas in FULL COLOR.